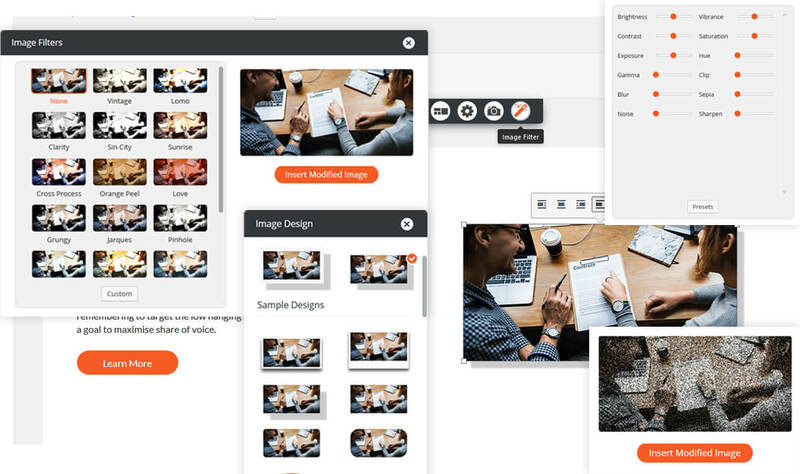 The Post and Page Builder by BoldGrid has powerful design tools for page elements like Buttons, Images, Icons, Blog Widgets, and more. Google Fonts are available from the Editor in various font weights and styles. 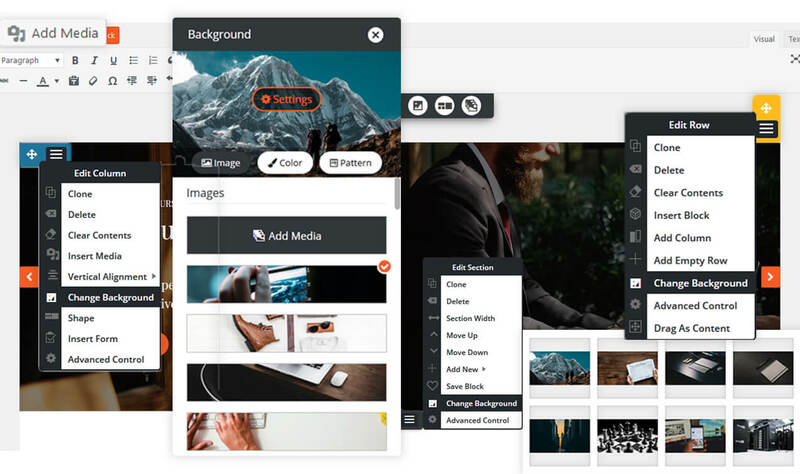 With our WYSIWYG editor creating your unique design is easier than ever. 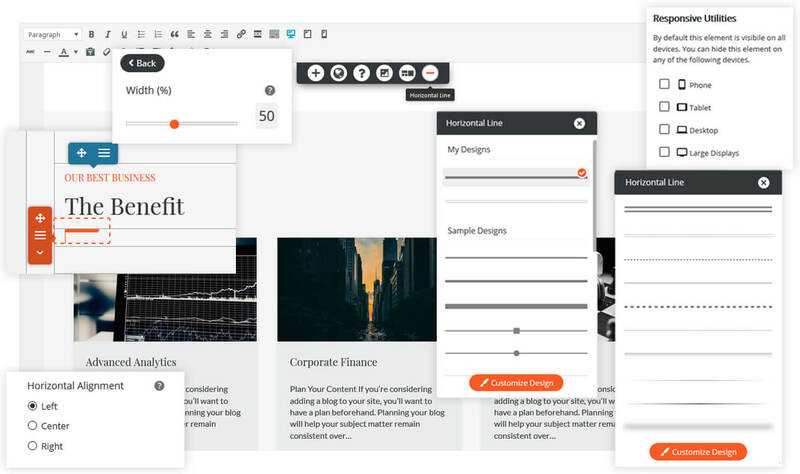 Using the Post and Page Builder, you can easily insert dynamic content like your latest blog posts with the click of a button, choosing from multiple design layouts and filters. Create your own button styles with Builder’s design tools, or use one of the many pre-designed button styles. 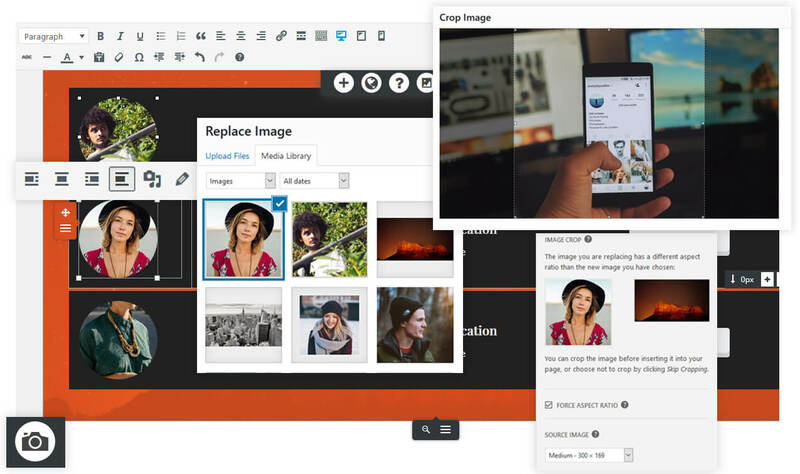 We have added numerous enhancements to the way WordPress handles images. From auto cropping to custom shapes, you can style your images the way you want them. With Instagram like filters, shapes, and shadows designing your website images is easier than ever. Use presets or advanced fine tune controls to ensure your images stand out. The Post and Page Builder includes the Font Awesome icon library, making it easy to add icons to your website from the largest available library. All aspects of icon design are customizable and adding them through the interface is quick and easy. Margin, size, color, and more can be changed per icon. The Post and Page Builder comes equipped with a wide variety of dividers. Dividers allow you to provide a visual separation between the various blocks, elements or copy, and provide accents to your headings. Image, color, and pattern backgrounds can be easily created on sections, rows, columns using the simple, intuitive configurations available in the Post and Page Builder. Adding image backgrounds can make a huge difference in how your content is displayed. For example, this block has a different image background on the section, row, and column. This column also has a color overlay so the text can be read. There are tools to help you set the image position, scroll effects, and much more to make each content Block your own.